Zumbrota Area Ambulance is a licensed part-time advanced life support ambulance service. We have Nationally Registered EMTs and Paramedics. As of 2013, about 1/4 of our roster is at the Paramedic level. All receive monthly training and education and must renew their registration / licensure every to years. 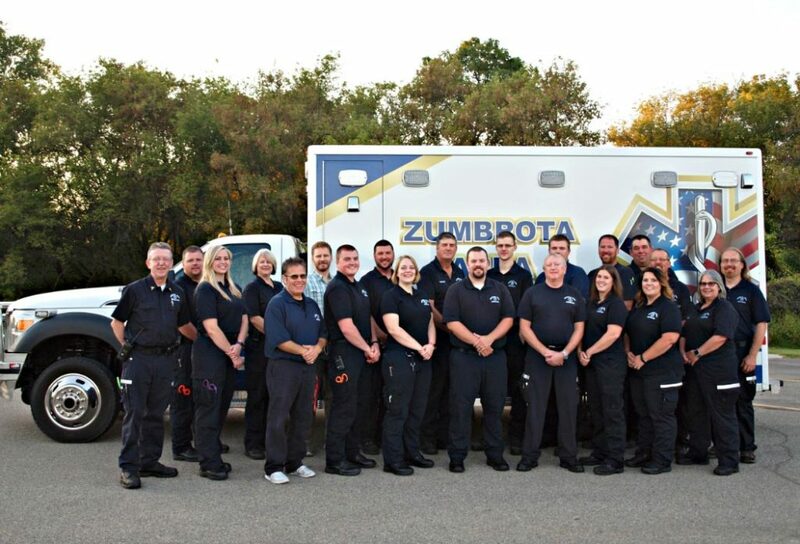 Zumbrota Area Ambulance provides Emergency Medical Services for the cities of Goodhue, Bellechester, Wanamingo, Pine Island, Zumbrota, and Mazeppa as well as the surrounding townships. Our response area covers approximately 330 square miles. Our call volume is 700-800 calls per year; 2012 call volume was 756. We pride ourselves on our state of the art equipment, facilities, and keeping up on the latest education and training. In 2011 we became the first volunteer ambulance in Southeast Minnesota (and possibly the state) to be part of the Mayo Clinic STEMI program. We currently have 3 ambulances and are home to one of the five Southeast MN disaster trailers. In 2013 we became a training institution: licensed through the Minnesota Emergency Medical Services Regulatory Board (EMSRB) as a Licensed Training Program, we are authorized to conduct emergency medical courses including Emergency Medical Responder and Emergency Medical Technician. We also provide standbys for community events, and CPR and AED education.